CJS CD Keys currently have a 25% off sale on this game, where they are offering it with instant delivery for just £36.95 / €42.62. 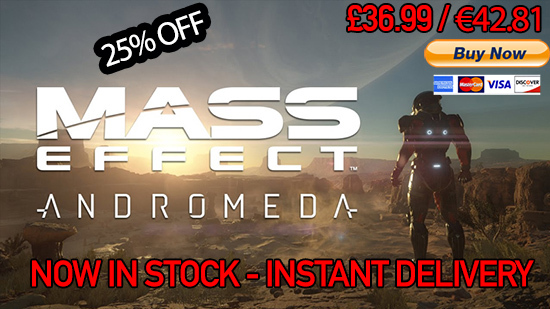 The Mass Effect Andromeda Serial is delivered to you instantly after payment via their online Autokey system. Whether you’ve just missed the Mass Effect Andromeda release date and want to get in on the fun, or you’ve purposely been waiting to see how the reviews turn out, there’s no doubting that this is an RPG game that’s NOT to be missed. We’ve been playing it here in the office and it’s a real blast!